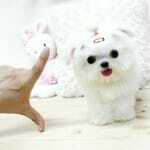 Pomeranians are Toy dogs used mainly as companions. They can compete in a show ring and are doing pretty good in it. Their double coat is perhaps the most striking feature that attracts many people and adds much to the beauty of the breed. In terms of grooming the Pomeranian is not an easy dog to care for. Still, many breed owners state that the Pomeranian’s coat does not require so much attention like other long-coated breeds’. 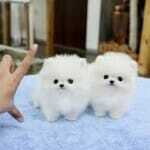 Height: The Pomeranian stands about 6 inches at the shoulder. 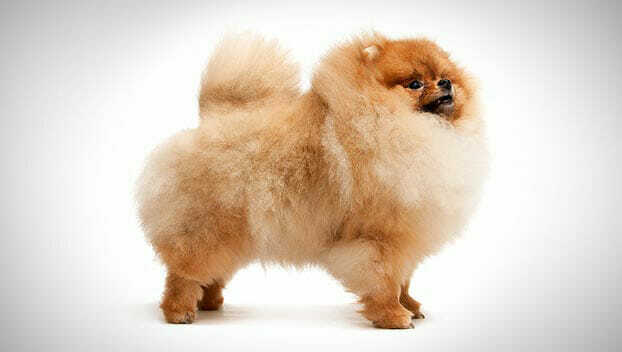 Weight: According to the breed standard the Pomeranian should weigh no more than 7 pounds, and no less than 3 pounds. 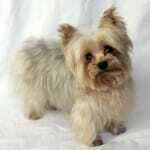 Nevertheless, some dogs can weigh as much as 18 pounds, and even more. Life Expectancy: Pomeranian dogs can live well into teens provided they get necessary treatment and stem from sound breeding lines. Pomeranians are rather popular dogs with city dwellers. They do not require a lot of space to satisfy their exercise needs. 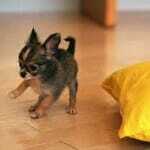 A few short walks a day will do just fine for these tiny dogs. At the same time Pomeranians feel quite happy in a country. A small backyard will surely become its favorite place to idle time away. Pomeranians are said to be disease-resistant dogs. It is important to prevent a Pomeranian puppy from injuries since his bones are too fragile at that age. 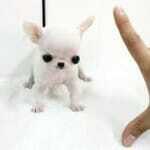 Besides, a puppy should get well-balanced meals, preferably in small portions. Certain diseases are more frequently seen in Pomeranians than others, among them being patellar luxation. This condition also called “slipped stifles” is likely to affect Toy breeds twelve times as much as medium-, or large-sized dogs. There is no available data concerning the percentage of diseased Pomeranians. However, numerous reports suggest that the Pomeranian is one of the breeds that suffer from this congenital disease rather often. Pomeranians are believed to have originated in Pomerania, a part of modern Germany. The Pomeranian’s ancestors were used as herd dogs and companions since the 1500’s. Their size was about 20-30 pounds. Later the dog’s weight was reduced under the influence of British Royalty’s preference for smaller dogs. Queen Charlotte took particular interest in these dogs. It was she who introduced the breed to the UK. Unlike German dogs (hardy and multi-colored), the first Pomeranians were bred for white color pattern and tiny size. Later the variety of colors increased. Victorian age is thought to play a decisive role in the Pomeranian’s development. Queen Victoria popularized Pomeranians in the country by means of an organized kennel, and show participation. At the end of the 19th century the Pomeranian walked into the AKC registered Toy group of breeds. 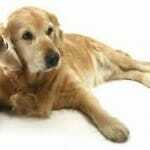 However, the dog was not very popular in the first decades of the 20th century. Besides, World Wars undermined the Pomeranian’s popularity greatly. Happily enough, in the second half of the 20th century Pomeranians acquired the deserved portion of attention on the part of dog lovers, and have enjoyed it ever since.